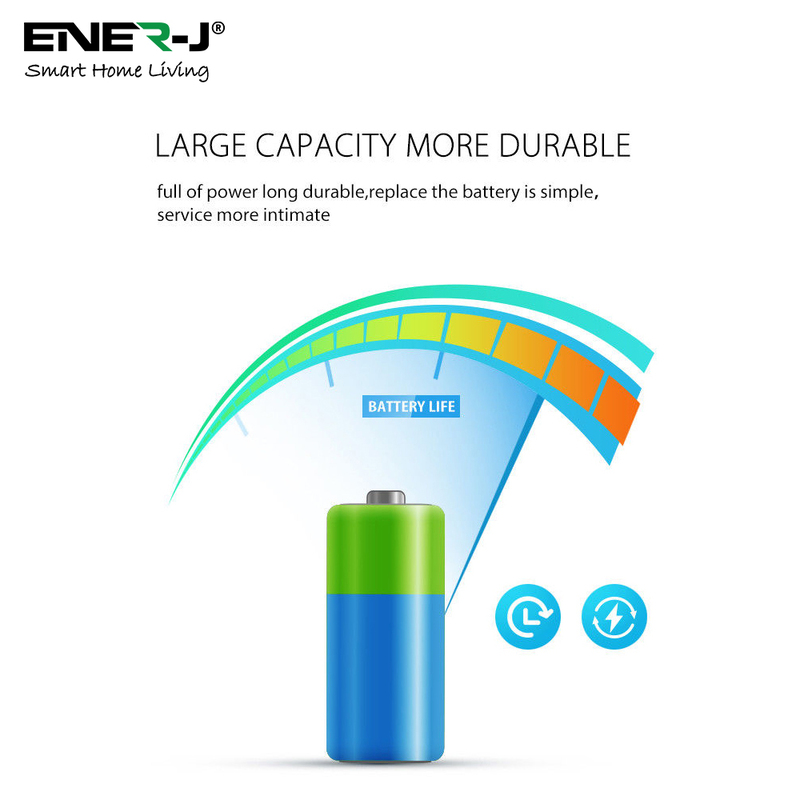 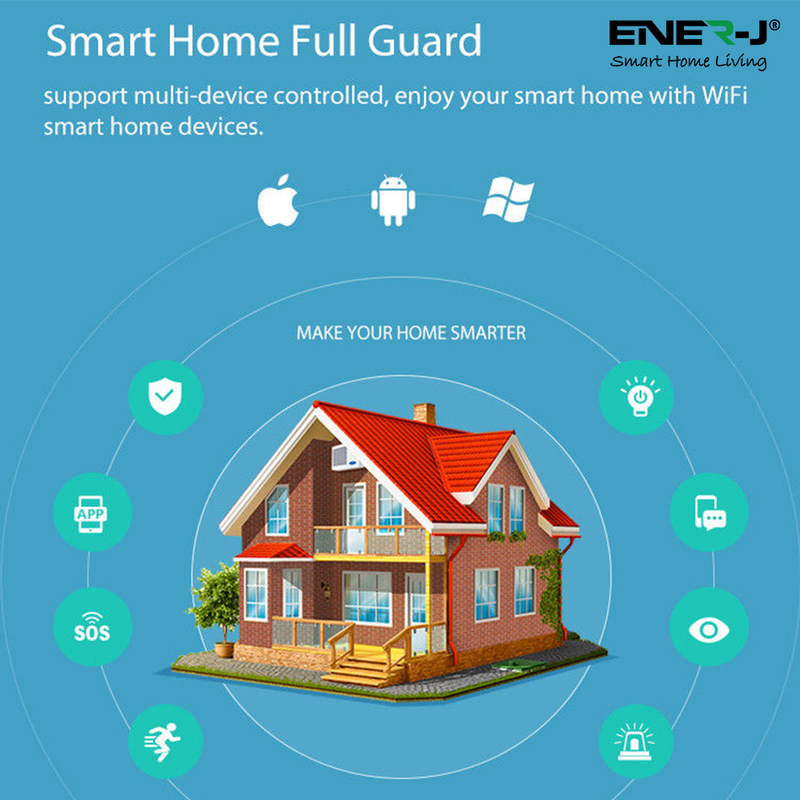 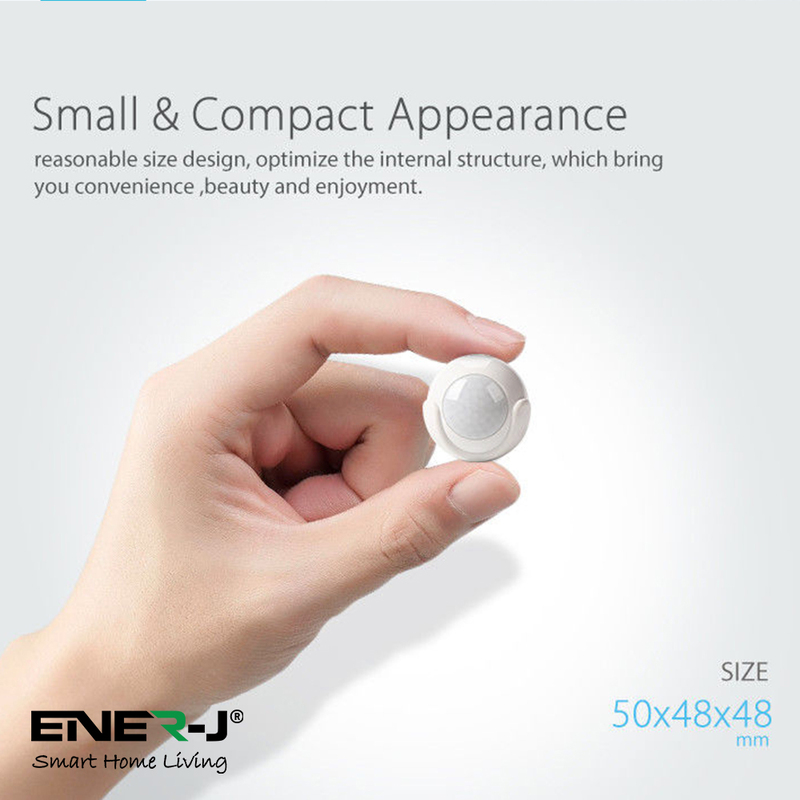 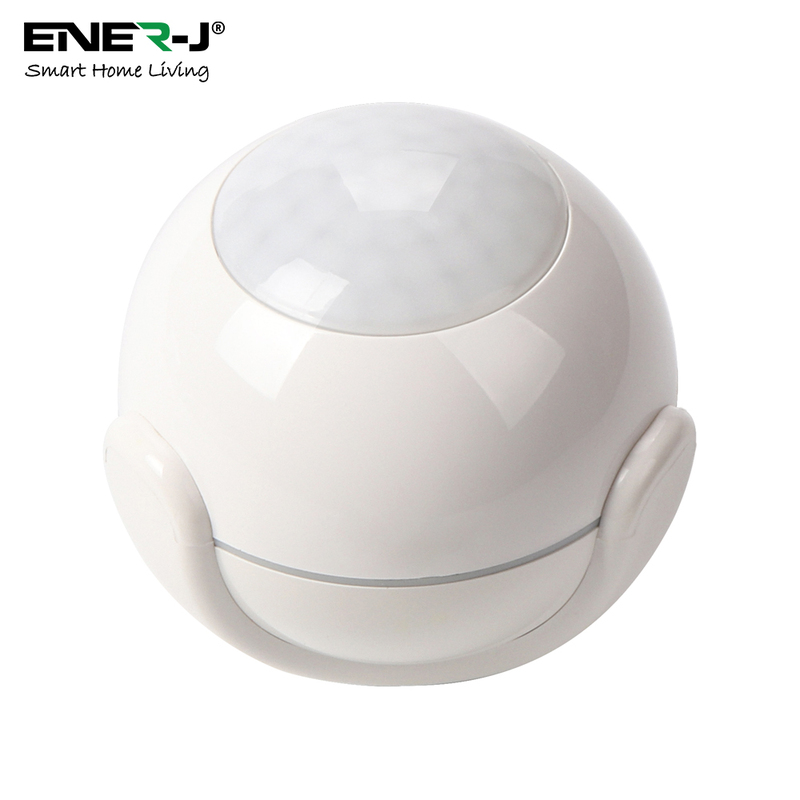 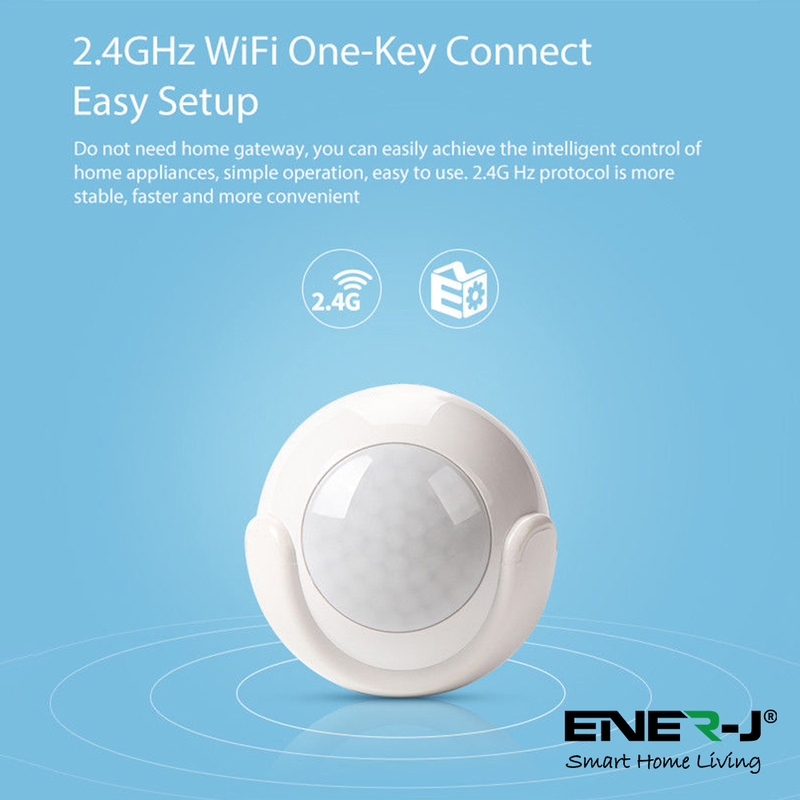 2.4GHz protocol is more stable, faster and more convenient.Smart remote control to make your home smarter. 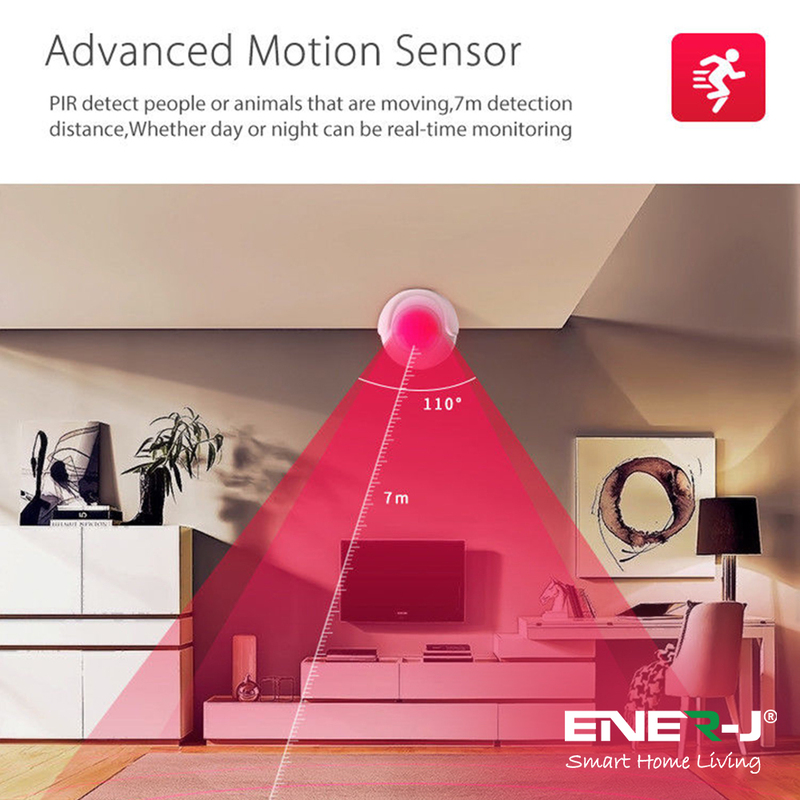 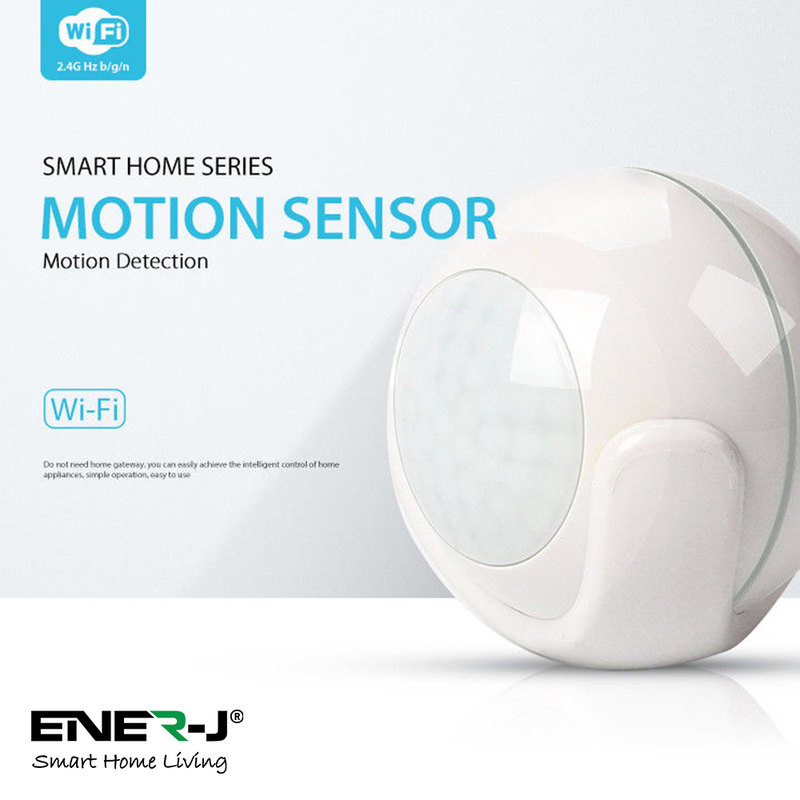 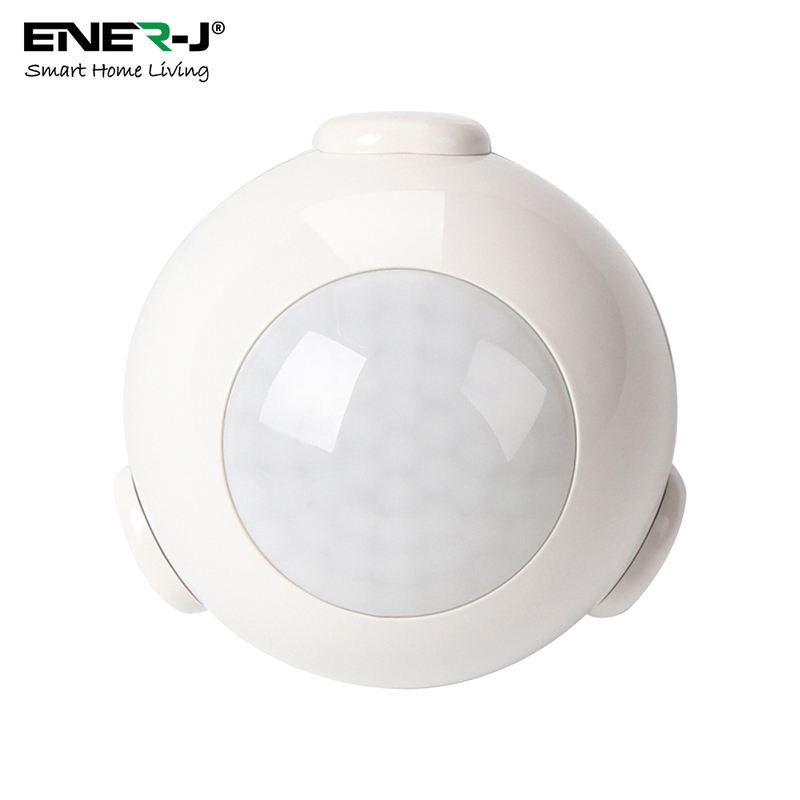 Advanced Motion Sensor, PIR detect people or animals that are moving, 7m detection distance, whether day or night can be real-time monitoring. 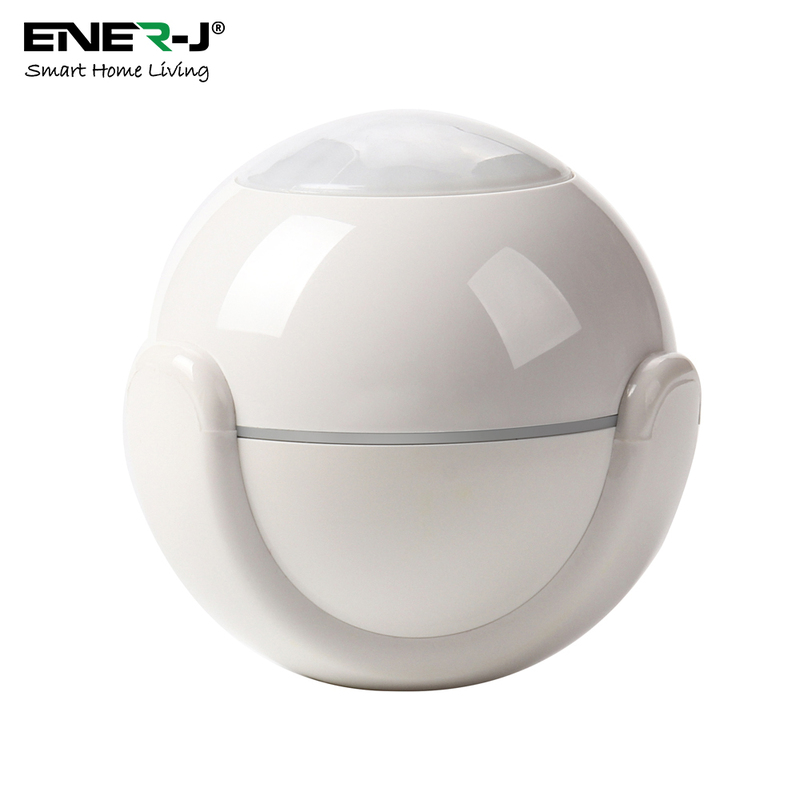 Battery Wi-Fi powered, and have a mount bracket, easy to put on ceiling or tablet etc. 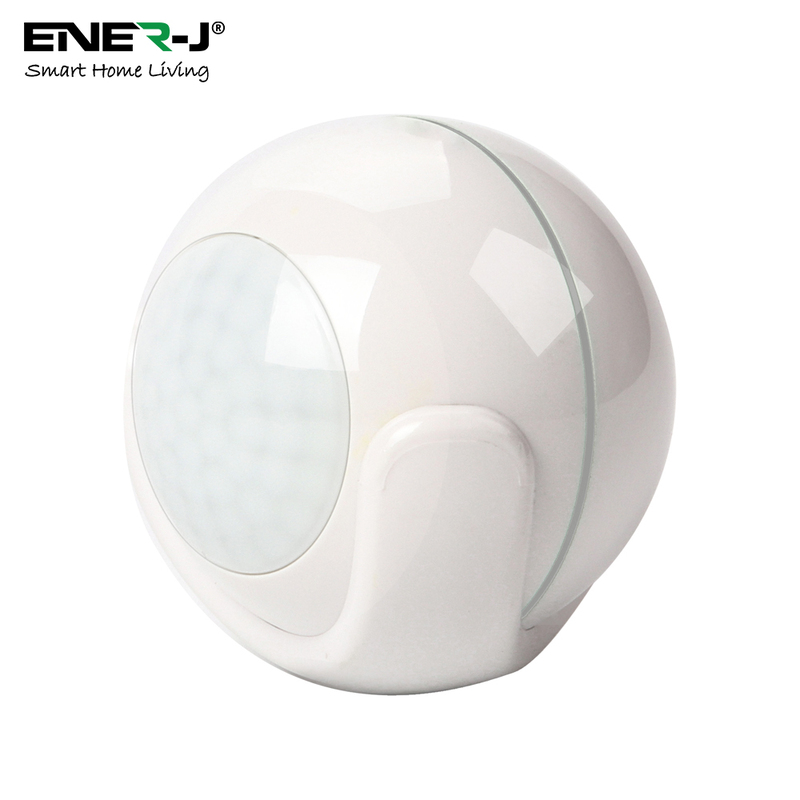 Provides remote home monitoring. 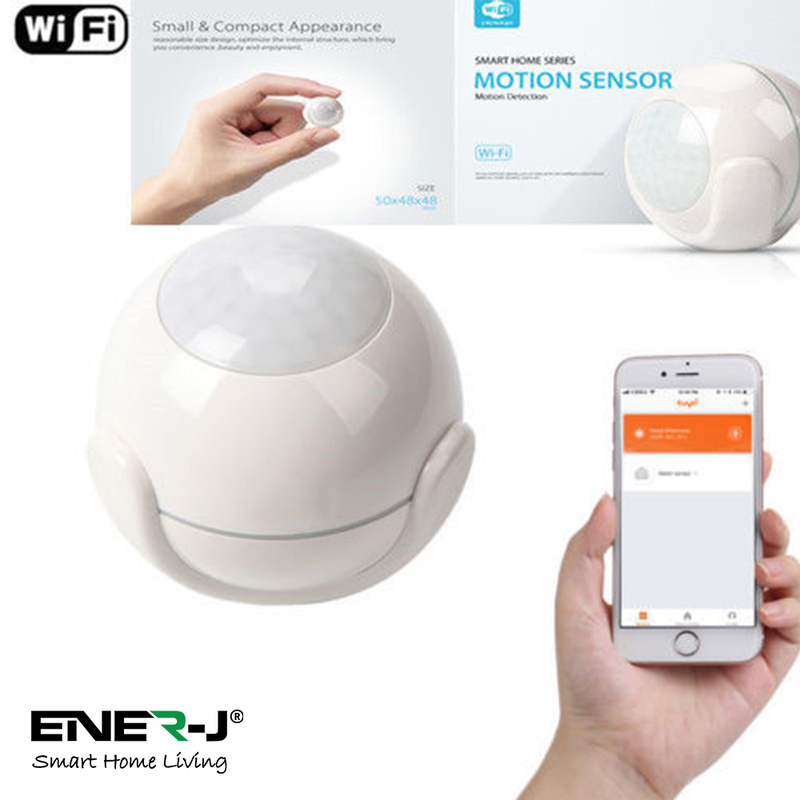 Set push notifications to your mobile devices or sound and vibration for early alert of motion detection in your home. 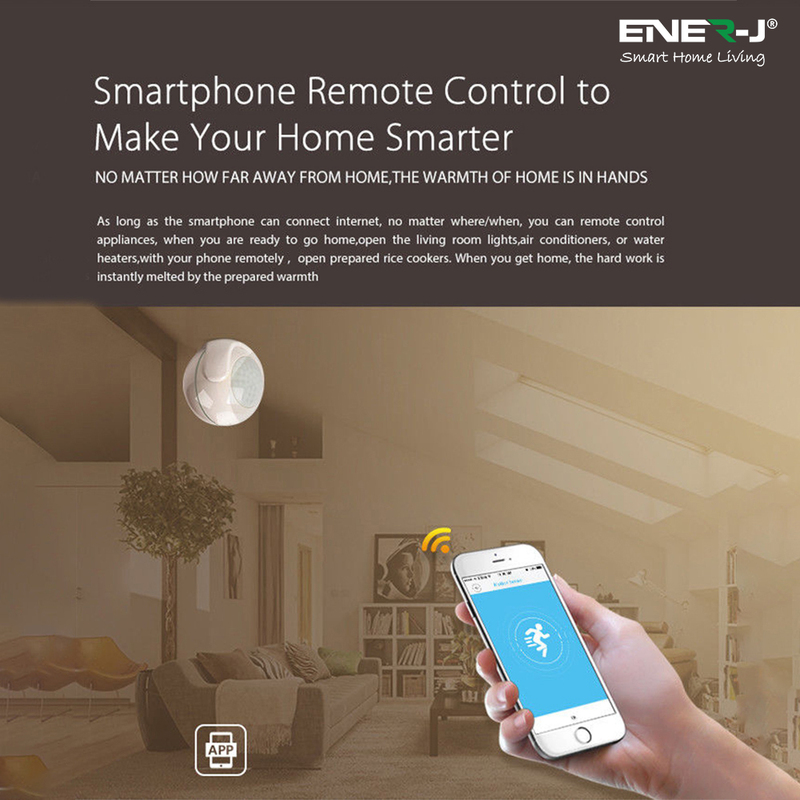 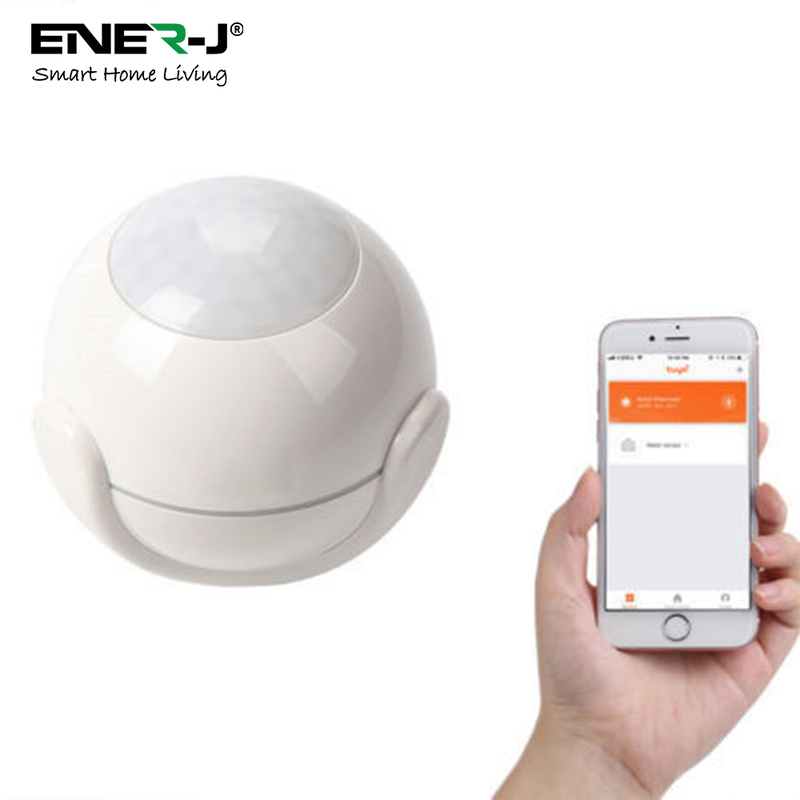 PLUG & PLAY with ENERJSMART app, No hub required, simple download "ENERJSMART" app on for iOS and for Android.